As options continue to decline for local news (with both buyouts and layoffs so far this year at the Courier-Post and Philly news outlets, respectively), it’s worth noting the moves are being made at least partially because of drops in paid circulation. The latest data from the Audit Bureau of Circulations, the agency that makes sure news sites are circulating what they say they’re circulating so advertisers are getting what they paid for, shows some steep declines in the region. The Courier-Post now has an average Monday-Friday circulation of 46,547 as of March 31, 2012 … down 3,073 from March 31, 2011. It’s like eight people called and cancelled their subscriptions every single day for the past year. In the same period, the Philadelphia Inquirer saw its circulation drop from 343,709 to 325,291 — a loss of 18,418. If you go back even further (numbers courtesy of Gannett Blog; the CP is a Gannett paper, which explains why the Inquirer numbers are not on the list), things are even worse for the Courier-Post. According to those numbers, the Courier-Post’s weekday circulation averaged 71,130 in 2005. In other words, average weekday circulation is down 24,556 in seven years — more than one-third. 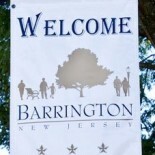 This entry was posted on May 4, 2012 by Barrington Bulletin in Business / Money, Region and tagged courier-post, cpsj, gannett, inquirer, media, news.